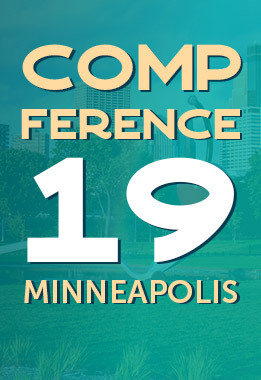 Heads up: This year’s schedule for PayScale’s Compference, the modern compensation event for comp professionals, HR professionals and business leaders, is now posted! Join peers from comp teams, HR leadership and C-Suites from all over at PayScale’s annual two-day compensation conference to share best practices and learn how to turn comp into a competitive advantage. We’ll end with a final keynote designed to help you think through how you’ll implement your learnings from the conference right away upon your return to the office. Get ready for some info- and insight-packed meetings. From 5 Steps to a Smart Comp Plan to Designing an Incentive Plan That Moves the Needle to Comp in a Gig Economy, you’ll be loaded up with ideas for improvements you can make to compensation at your organization after two days of sessions at Compference. Here are more details on five key sessions you won’t want to miss. Everyone loves a good panel discussion, and the ones we’ve got in store for Compference this year are sure to be crowd-pleasers. On Wednesday at 10:50 a.m., Jackeline Carreno, PHR, Human Resources Manager at Perry Ellis International and Mykkah Herner, Modern Compensation Evangelist at PayScale, will cover Comp Change Management at a $860M Company. Later that day at 3:05 p.m., we’ll kick off the The Future Role of a Compensation Professional panel with Bob Shade, Sr. Manager, Compensation at NRECA; Emily Jensen, VP Customer Success at PayScale and Glenn Stroessner, Senior Compensation Consultant at Howard Hughes Medical Institute. Need a reason to head to Austin early? (Of course you don’t, but your boss might ask, in which case … ) Catch our full-day intimate product workshops on Monday before the event, hosted by PayScale product experts. You’ll learn best practices for your chosen product, as well as how to apply them to your PayScale instance. Bring your laptops and your questions — PayScale team members will be there to answer! Part of the joy of conferences is meeting your peers at other companies! We’ve built fun meet-and-greet opportunities into the conference schedule — including industry-specific sessions — so you can be sure to chat with folks who know what your day-to-day is like and understand your challenges. So nice to chat with people who “get it,” isn’t it? We’re thoughtful people, y’all. As valuable as all the sessions, keynotes, panels and workshops are, we want you to stay fresh and engaged and not overexert yourself by running from meeting to meeting — so we’ve got breaks and meals planned for ya. We know you’ll get the most out of the event if you have a few breaks to recharge and refuel, and we’ve got you covered. Check out the full agenda here on the Compference site. See you in Austin! What’s your biggest compensation planning challenge right now? We want to hear from you! Tell us your thoughts in the comments. Unfortunately, your pricing does not make sense from an Africa Talent/HR perspective. We are on the edge of doing great things in the talent management space, but you are not priced for our market(s).